Seth Rollins was the Superstar of the Year in RAW by a mile. He was an absolute workhorse during the entirety of 2018 having won the Intercontinental Championship twice and the RAW Tag Team Championship with Jason Jordan once. His performance in the gauntlet match which took place on RAW before Elimination Chamber was widely praised by a lot of people. Monday Night RAW was truly Monday Night Rollins during 2018. He was also part of a fantastic feud with Ziggler and constantly delivered amazing matches versus people like Baron Corbin, Drew McIntyre, and Dean Ambrose. The Dogs of War vs The Shield rivalry was the best thing going on RAW for a couple of weeks. Oh! Who could forget the RAW Tag Team Championship where Rollins and Ambrose faced off against Ziggler and McIntyre in a barnburner. It is high time for Rollins to reap his rewards and move onto bigger things. Let us take a look at two possible matches for Seth Rollins at WrestleMania 35. Now, this is obviously the most likely and most heavily rumoured match for Lesnar at WrestleMania. The plan is simple. Have Rollins win the Rumble and dethrone Brock at Mania to be the face of RAW. This is also the most likely scenario. 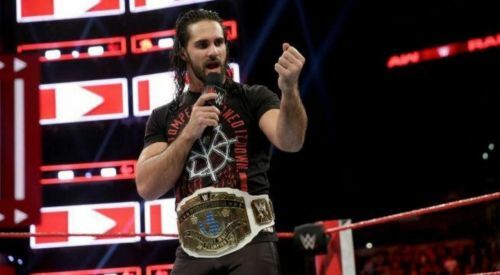 RAW desperately needs a full-time Universal Champion and who else to lead the charge other than the workhorse Seth Rollins himself? 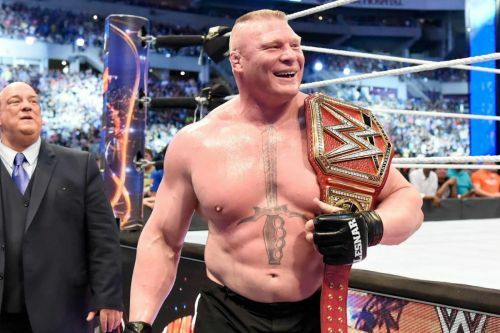 He had brought out the flaws that Lesnar's reign that caused RAW to drop to all-time low ratings. He can also win the title as a respect for his Shield-brother, Roman Reigns. It is also highly likely that Lesnar will walk out of the Royal Rumble as the Universal Champion. So all of this comes to shape and it can truly be a phenomenal match, all said and done. What if Seth Rollins were challenging Finn Balor at WrestleMania 35?